All staff photos published in the Record-Eagle print edition during the week of August 16-22, 2009. Note: Some photos may not be available until late afternoon on the day published. Photos published on Saturday and Sunday will be available for purchase Monday. 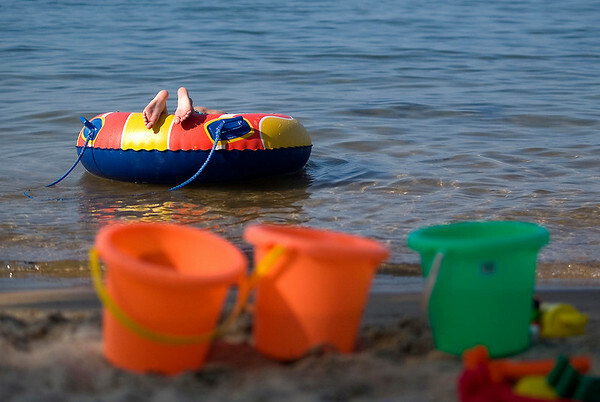 Connor Whyte, 7, of Rockford, floats on a tube at the Traverse City State Park beach on Grand Traverse Bay's east arm. Whyte, who was visiting his grandmother Nancy Whyte, of Traverse City, was not able to swim on two visits last summer because of no-swim advisories.